Procedures offered by Heripsime Ohanian, Ph.D., M.D. Achieve a vibrant, natural, younger look. We offer a variety of rejuvenation treatments to improve your appearance safely and with minimal downtime. Let us start you on your way toward the more youthful looking appearance you deserve. Member, International Society of Ultrasound in ObGyn. Licensed in New Jersey. Licensed in PA during medical training and residency. Certified, American Institute of Ultrasound Medicine. Certified, Botox and Dermal Fillers. 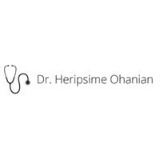 Ask a question to Heripsime Ohanian, Ph.D., M.D.